Stretch marks are caused because of rapid stretching of skin that results into scars and discoloration of skin. 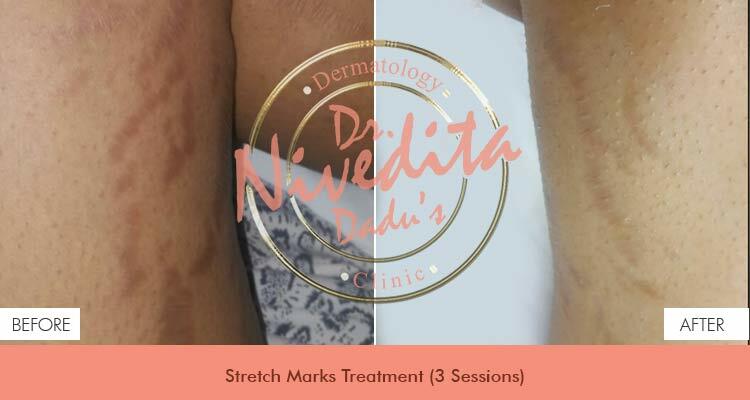 There are many reasons which can lead to stretch marks such as rapid weight reduction, quick weight gain, excessive exercise, steroids, pregnancy, hormonal changes, puberty etc. Millions of women have stretch marks, but this fact does little to lessen the embarrassment that most women feel at the appearance of these unattractive striations on their skin. Stretch marks, also known as striae, are a form of scarring on the skin with an off-color hue. Over time they may reduce, but will not disappear completely. 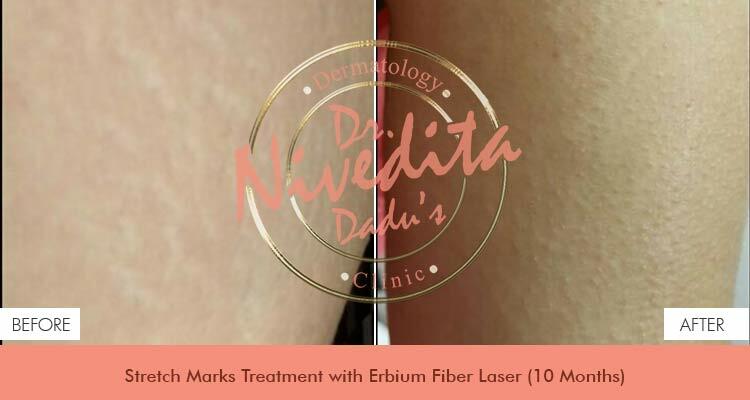 Tearing of the dermis results into stretch marks. There is no proof that creams utilized during pregnancy prevent stretch marks. Once they have formed there is clearly no useful treatment, though various methods have been tried. Striae, or "stretch marks", start as reddish or purple lesions, which can show up anywhere on the body, but are most likely to appear in places where huge amounts of fat are stored; the most common places are the abdomen (especially near the navel), breasts, upper arms, underarms, back, thighs (both inner and outer), hips, and buttocks. After some time, they tend to atrophy and lose pigmentation. The affected areas appear empty, and are gentle to the touch. Stretch marks occur in the dermis, the resilient middle tissue layer that aids the skin retain its shape. No stretch marks will form as long as there is support within the dermis. They can (but do not always) cause a burning and tingling sensation, as well as emotional distress. They pose no health risk because of them, and your body can still funtion normally and repair itself, however, they are often considered a cosmetic nuisance. Till now there were few options for stretch mark treatments. Some of the treatment include medical management and procedure like collagen induction therapy and lasers.